The publication is the successor of The Repertoire of Slovenian Theatres (Repertoar slovenskih gledališč), which was published in 1967 and recorded a hundred years of history of Slovenian theatre performances. The 100-year repertoire was followed by five five-year sequels, which changed to a yearly publication in the season of 1992/93. 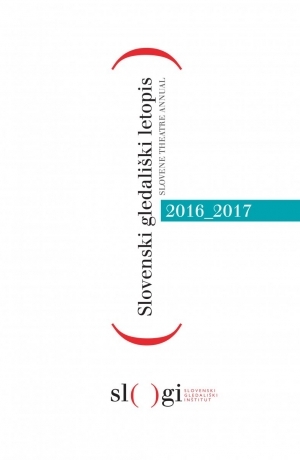 The Yearbook broadened the demonstration of the Slovenian theatre production with a spreadsheet of Slovenian theatre festivals, awards, and critical forewords to the happenings in individual forms of theatre. Twenty-five Slovenian Theatre Yearbooks have been published till 2019.